1. 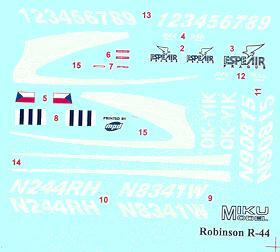 The 1:72 Robinson R-44 kits from Miku arrived this week. #72-047 is the R-44 Astro, the basic model, and #72-065 is the R-44 Clipper, which is externally exactly the same except for the provision of a pair of pontoon floats attached to the skids. You also get some white flashes and stripes and a selection of other italic numerals, presumably for if you wish to construct your own alternative US registrations. You don't get a lot of clues to the colour schemes; apart from the standard pattern white stripes, the other colour is described in the instructions as 'various'. The contents of the Clipper kit is exactly the same except that you get the pontoons in two halves, plus a small wing-shaped piece for the bottom of the tail fin and a strut which extends the skid along the line of the floats a little. In one kit I have seen the etched brass sheet is replaced by etched steel, but the parts on it are the same. This looks like a nice little kit; it's diminutive proportions will make make it a challenging build. 2. In a very suprising move, Amodel's second kit in their 1:72 Sky High range is a copy of Italeri's flawed UH-1B Huey #040. 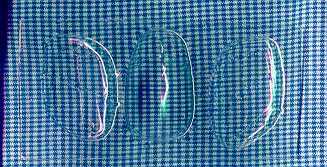 I have no idea whether this is an authorised copy, but I understand that the parts are identical except that there's a bit of flash, and the transparencies aren't so good. The decal sheet is good quality but some of the actual markings, printed entirely in black, are somewhat dubious. Just to add to the fun, the box says it's a 'UH-1D'. I can't imagine why anyone would want to buy this kit in preference to the Italeri. 3. David Fleming has very kindly contributed his thoughts on the HR / Hora Model Cierva C8R #7205, which is a resin kit. Though it's not new, I don't believe HKN has mentioned it before. I believe it can also be found under the Model Maniacs label. With my ongoing Airfix 504K to Cierva C6C project slowly grinding onwards, I bought the HR C8R from Hannants, with a view to comparing the two methods. (I was also intrigued by the illustration on the Hannants site, which showed the C6C !). 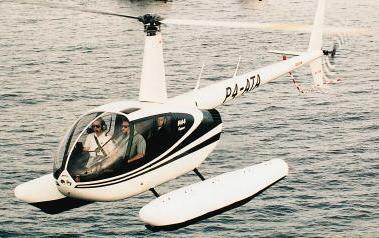 The C8R was, of course, the C6D with new wings and rotors. The kit comes in a box, with the parts in a poly bag. The 'instructions' are a three view from the Airfix Magazine conversion article (and a photocopy of the Scale Aircraft Modelling review). The box now has a photo of the model, rather than a profile of the C6C. 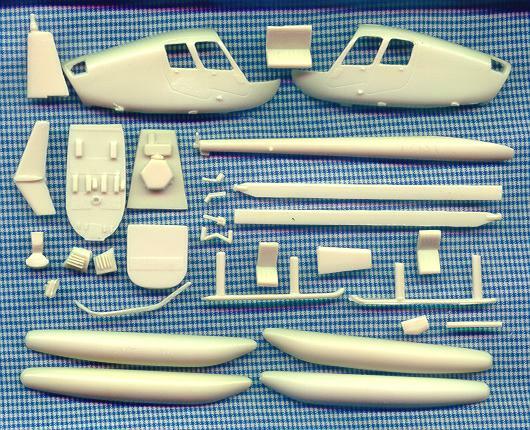 The kit is moulded in a cream resin, looking very similar to the plastic used in the Airfix kit. That's not the only similarity to the Airfix kit! Hora have obviously based their model on the old Airfix Magazine article, and have (unsurprisingly) used the Airfix kit as the basis for their model. The wheels, fuselage, cowling and engine are all obviously copies. This means that the errors in the Airfix kit are continued - primarily the fuselage (slightly too short and shallow, and with the cockpit openings in the wrong place), and the engine (too skinny). The engine can be replaced by one of Aeroclub's, as can the propellor, and the fuselage can be beefed up with some plasticard (Windsock Datafile No.28 is a good reference for the Avro 504K). I can live with the slightly out of place cockpits. The 'Cierva' parts are also based on the Airfix mag article, even down to the 'two disc' rotor head, but look not too bad with some careful painting. Rib detail is a bit heavy and will benefit from some sanding down (Remember to wear a mask when sanding resin - wet sanding keeps down the dust). Cockpit detail is straight from the Airfix kit (two seats and two panels). Aeroclub provided replacement seats and the Datafile gives good detail. No decals are provided, so you are left to find your own (again, Aeroclub do British Civil markings) - mine is currently decal-less. If you don't like 'Out of the Box', even for resin, conversion possibilities include the C6D (early wing, with or without paddle blades), C6C (different blades, single cockpit), or the C8V (Avro 552A fuselage with Viper engine, also flew with a tricycle undercarriage). 4. Lastly, I have received an interesting little conversion set which is made by a company I've never come across before, FF Pribram of the Czech Republic. This is a new resin nose and sugar-scoop exhaust to convert the 1:72 Matchbox AH-1G into an AH-1Q. I imagine it would be equally suitable for use with the preferable Monogram AH-1G. The drawing included with the resin pieces shows a profile of the Israeli machine '324'. Thanks to Petr Zaoral, Yevgeny Borissov, and David Fleming.